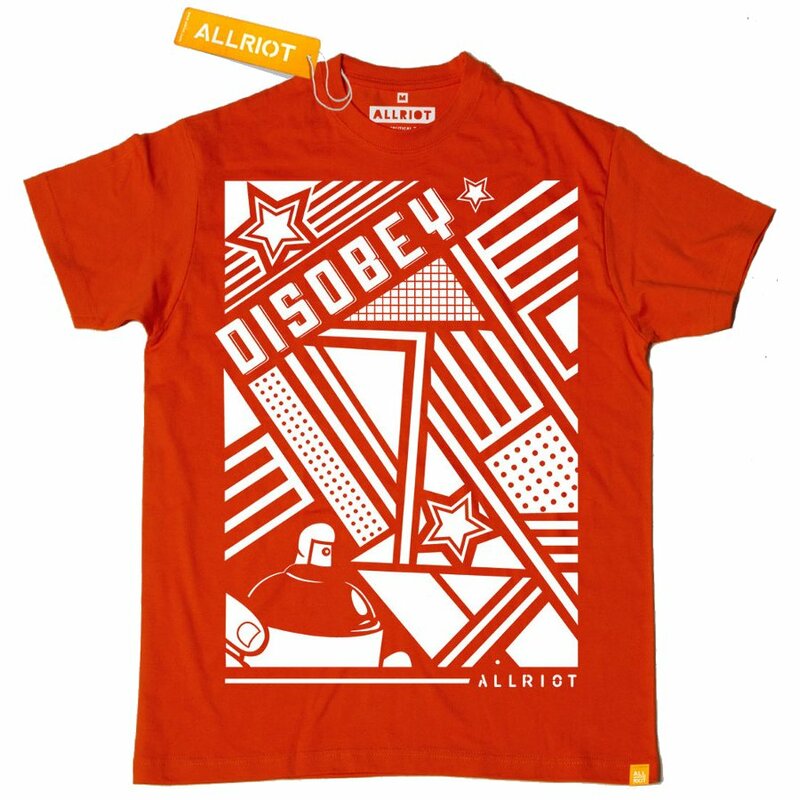 An ethically produced organic t-shirt in red featuring a geometric design, encouraging you to ‘disobey’, a different take on a popular brand. 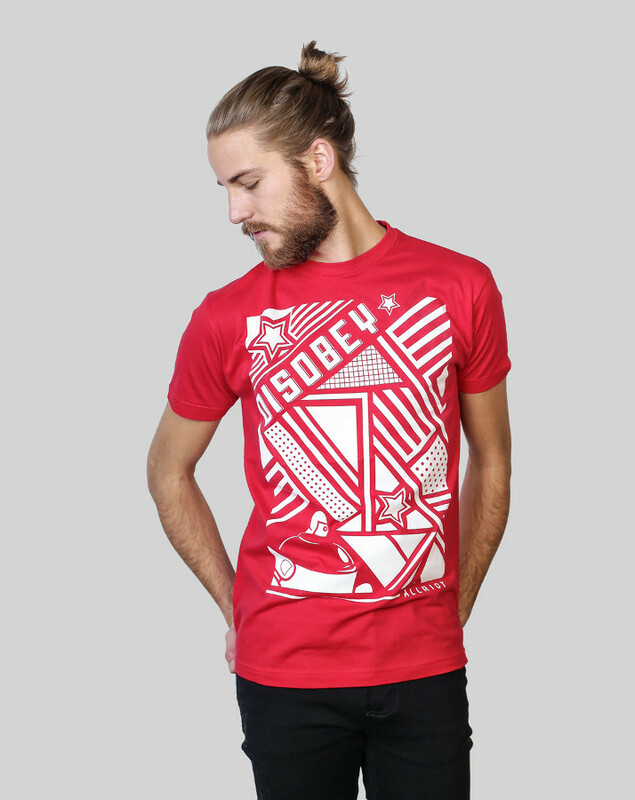 Be your own person and don’t give in to societal pressures or demands. Regular fit. Women may want to order a size down. 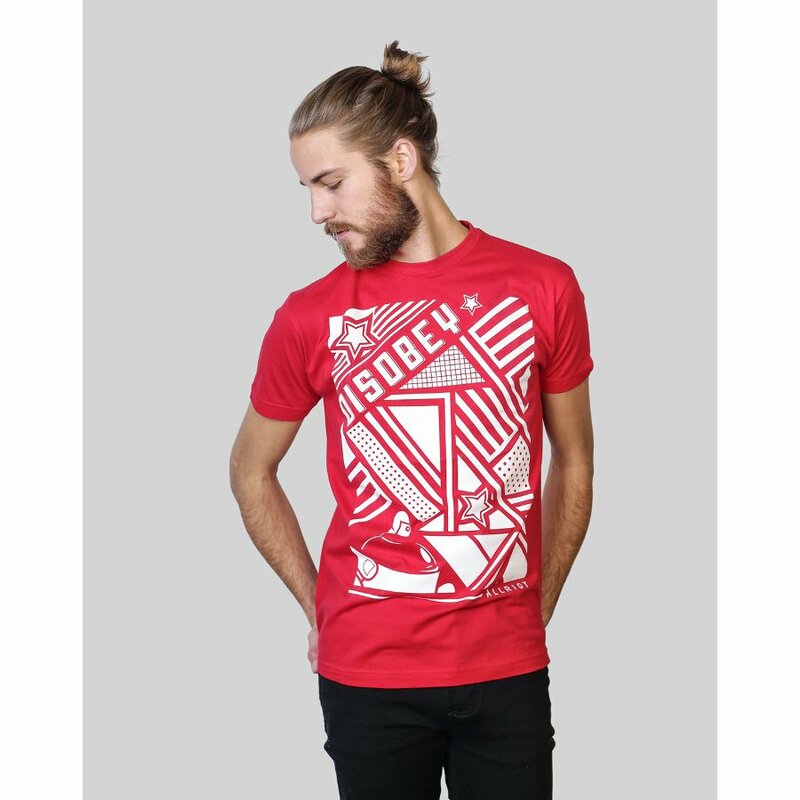 This unisex certified organic cotton t-shirt is completely sweatshop free, Fair Wear Foundation certified, and printed in the UK, with no harmful chemicals used in any part of the production process. 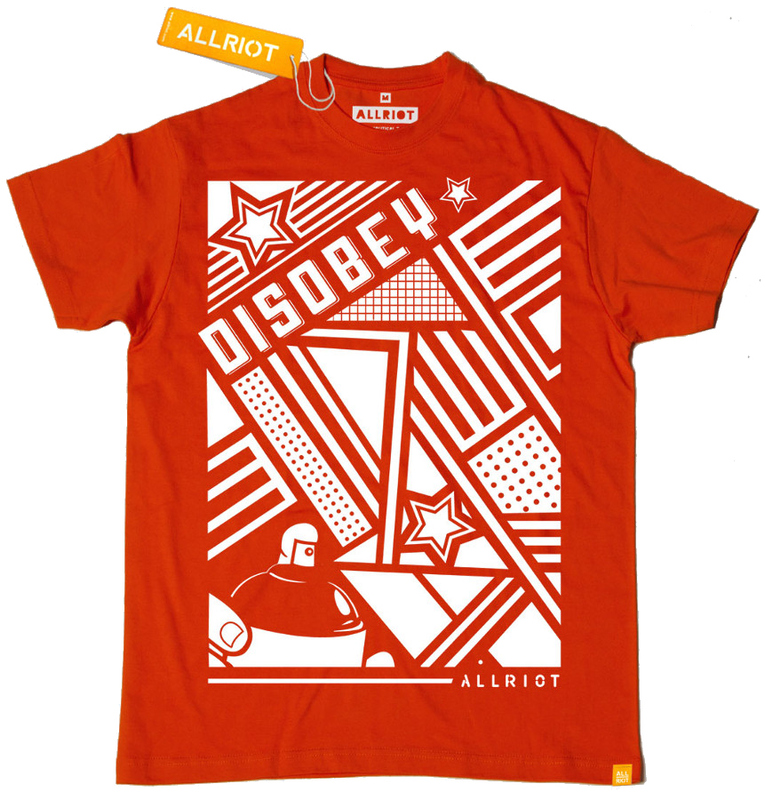 There are currently no questions to display about All Riot 'Disobey' Political T-Shirt - Red.